Google has announced its new method to rank and search web content. Google Caffeine is an update to how Google indexes web sites and web pages for search results. In the past Google’s method of indexing web sites by sending their Googlebots out around mapping sites took time. It could take up to two weeks if not longer for new content to be indexed and appear in search results. The new Google indexing system (Google Caffeine) is intended to make the search results show more current information faster, drawn from blogs and Twitter and the rest of the social media ecosystem. Google Caffeine also attempts to better measure the relevancy of backlinks. In the old system many old web sites with high number of links have been ranking in higher positions than more recently launched sites with current and updated information. In this age of fast media postings 24/7, and users’ needs for relevant sources and information, Google needed to make these adjustments to its search engine and play catch up. If you surf the Internet with various Web browsers, you’ve most likely noticed that Web content may render differently depending on the browser. The older the browser, the longer rendering of the Web content and more potential rough spots with the visual rendering of HTML and image & graphics content. For instance, older version of Internet Explorer browsers tend to render text choppier, making large size HTML text noticeably edgy and funky. The much anticipated launch of Internet Explorer 9 in 2011 – they just released the beta version – should bring improvements to many common quirks. On September 15, 2010 Microsoft issued a press release detailing their new Internet Explorer browser that will be based more on Web standards: Web coded content should appear more consistent between browsers and the speed of rendering should be faster as well. Microsoft is at least taking promising steps in acknowledging the importance of consistency in the cross-browser user experience. Interaria website takes a step away from metaphors and meanings, aiming simply to please the visual eye. We thought, what if this time a lighthouse would be just a lighthouse, and not a symbol for vision, and water just water, a pure and simple element without a double twist. The concept was influenced by the idea of mesmerizing screen savers and travels around the world. Our site is a tribute to the organic world, even when things get stressful. This type of honesty can always be attacked as naivety but we feel pretty laid-back with our decisions. Many graphic design/web design & development portfolios out there showcase lots of visual screenshots with very little text and explanation to give any context to the work done. Moreover, often times the strictly image based portfolios feature personal website sketches or work that was never launched. Third issue is over-crediting: when a freelance designer links to the Hilton Hotels’ website and gives no context what so ever about his/her involvement in the development project, it goes without saying, that taking credit has become more important than objectively reflecting the work done. Unlike many portfolios out there, each website design & development project in the Interaria’s portfolio is provided with a link to the actual website, the final result. Each website project in our Dallas Web design company portfolio includes a detailed case study that clearly outlines our work load and the results. We believe transparency in order for our potential clients to be fully able to assess each company and ultimately find the best match for their needs. It serves us best that the client knows what they are signing up for. Click here to visit Interaria Portfolio. Content Management is the latest buzz word that almost any relevant web design and development company needs to drop to their website in order to come across current. We are no different. However, we enter to this game head held high: Interaria has been developing for several years now custom content management solutions for our clients. We do not just integrate open source content management systems with our websites and call them our own. Our content management systems are custom coded with PHP/MySQL database language, and each feature is fully customized according to the website development needs of our clients. We do utilize some open source aspects (such as text editor) but unlike most public content management systems, our system is always customized to make each design and style possible – never the other way around. In fact, if you go through our portfolio, you can note that it is almost impossible to point what sections of each website are integrated with a content management system. There aren’t any generic template looks – the code base is seamless, smooth and integrated with each company’s corporate web identity. 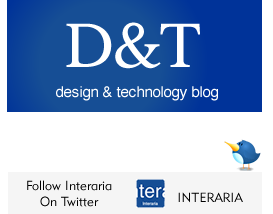 Learn more about Interaria CMS solutions.